Workman Publishing Company, 9780761142140, 304pp. It's time to become the new hero of the kitchen. Or at least put aside your fear of frying (not to mention sautéing, roasting, or tossing a salad). Dad's Own Cookbook shows how to do everything from handling a knife properly to juggling three dishes so that dinner comes together on schedule. 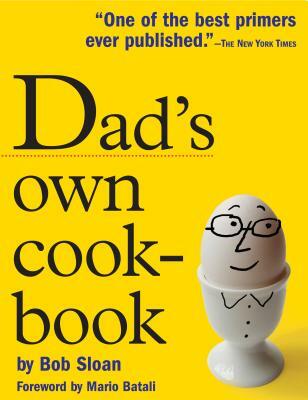 Its lively charts, tips, and directions replace intimidation with pleasure and camaraderie, and its 150 great recipes will turn the most culinarily challenged dad into the family chef. Bob Sloan is a professional chef, teacher, and author who runs his own catering business. He lives in New York City with his wife and two sons, both of whom love to cook. "An extraordinary cookbook. Sloan covers all the basics...in admirable recipes that are a pleasure to eat. If I had had this book 20 years ago, I could have saved myself a river of frustration in the kitchen."